Michigan Gov. Rick Snyder today announced the appointment of Richard (Barry) Owens to the Michigan Travel Commission. “I thank Barry for his commitment to promoting tourism in Michigan,” says Snyder. The Michigan Travel Commission collaborates with destination marketing associations, nonprofit corporations, and organizations to develop and promote Michigan’s travel and tourism industry. It also provides the Michigan economic development corporation with input on activities related to tourism in the state. Owens is the general manager of Treetops Resort in Gaylord. 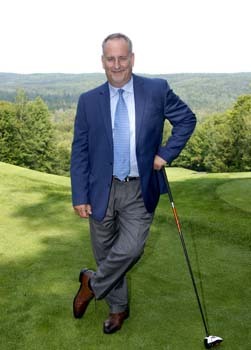 He was previously the general manager and president of Garland Resort in Lewiston. Owens has more than 30 years of experience in the hospitality industry. He received his bachelor’s degree in economics from Kalamazoo College. Owens will fill the vacancy left by the resignation of Sammie Lukaskiewicz. He will serve the remainder of a four-year term expiring August 20, 2019. His appointment is subject to the advice and consent of the Senate.